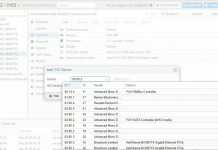 Proxmox VE 5.0 Beta Released - Major Changes! 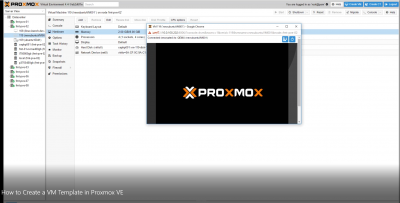 Home Software Virtualization Proxmox VE 5.0 Beta Released – Major Changes! For those unfamiliar, Proxmox VE is a virtualization and container platform that adds unique storage and high-availability cluster management features all wrapped in a web GUI. Perhaps the best part is that there is both a “free” option as well as a reasonably priced paid support option as well. The Proxmox team released the new 5.0 beta. We wanted to highlight this new version as it has some killer new features that the STH community will like. If you wanted to build an open source Linux based high-availability cluster with ZFS, Ceph or Gluster storage and a nice GUI, Proxmox is the best option out there at this time. Proxmox VE 5.0 beta is now based on Debian Stretch which means it comes with Linux Kernel 4.10, which is a must for anyone using AMD Zen architectures such as Ryzen or Zen. You can see that we have guides for upgrading Ubuntu to 4.10 and CentOS because otherwise AMD Zen and Linux are unstable. That also means that the KVM virtualization in the upcoming Proxmox VE 5.0 should support Hyper-V nested virtualization for those building virtualization labs. Beyond Proxmox VE 5.0’s updated base OS, there is one other feature we wanted to highlight, Proxmox is finally getting an updated Ceph implementation. The beta includes Ceph Luminous v12.0.0.0 (development) that will be the next LTS version of Ceph. The dev version was released last month with some long-awaited fixes for Bluestore and other areas that were not present in the Kraken release. The current Proxmox VE 4.4 is still on Ceph Jewel. We have been using Proxmox + Ceph for some of our development instances for some time now so we are excited about this release.